He’s speaking to His disciples about times that will be troubling. Kind of like the times we’re living in, right? Troubling times, when things don’t make sense and nothing is predictable. When culture is changing and morals are shifting and what once would have been considered absurd is now celebrated. Because of Him. Because He has overcome the world – He has overcome death and destruction, deceit and immorality, hopelessness and despair. He has overcome the world system and everything under the devil’s domain. He has overcome everything that discourages us. Because He is in us, we can approach each day in faith from a place of victory. He has already won! He has already overcome. So how do we live from a place of good cheer? We live from a place of faith in Christ – faith in who He is and what He says is true, no matter how opposite things look in the natural. Jesus is truth. He is not a liar. What He says is so. The question is, will we believe Him? As Jesus asked His disciples, “Do you now believe?” (John 16:31). We can live in good cheer because we are convinced He has already overcome everything we see as a threat. Everything we think will overcome us. Let us be overcome by one thing and one thing only: Jesus, the Overcomer. Oh friend, be of good cheer! Linking up with Kate Motaung today! Join the fun. Every Thursday Kate posts a new word. Today’s is: cheer. 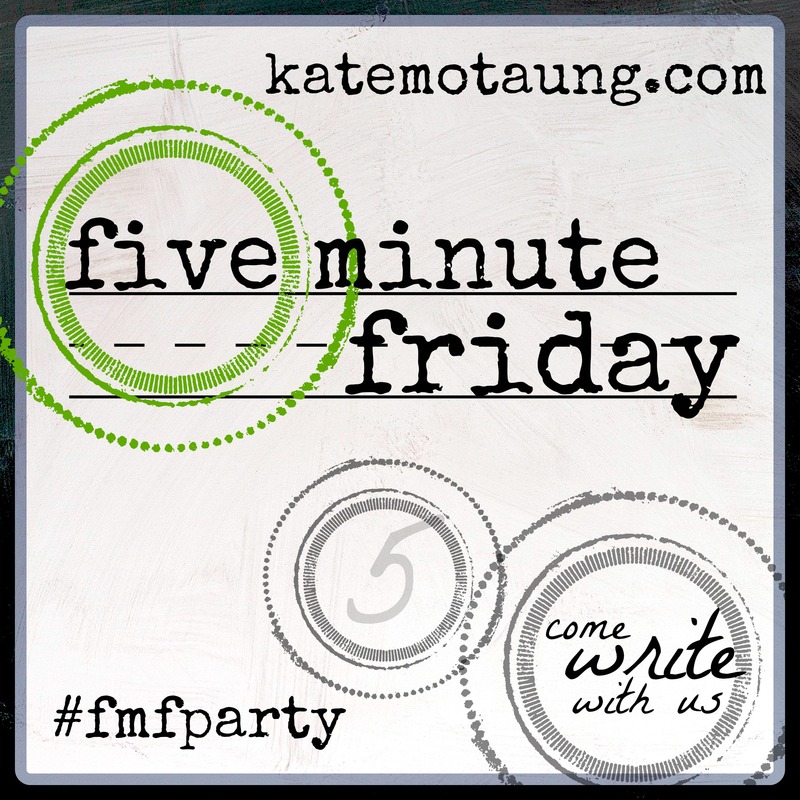 Write for five minutes, post it on your blog and then link up to it at Five Minute Friday. Be sure to read some other posts and leave a comment. It’s all about encouraging each other! How could I not read a post with the same title I had chosen? Thank you for a truly inspirational lesson on the good cheer our trust in Jesus will create. This verse kept running through my brain as I thought about this topic. What a wonderful promise that He Has Overcome! Thanks for the reminder. Dropping by from FMF. Great reminder that we can be of good cheer, even when life is difficult, because Jesus has overcome. We just have to remember to focus on him rather than allowing circumstances to overwhelm us. Visiting from FMF.